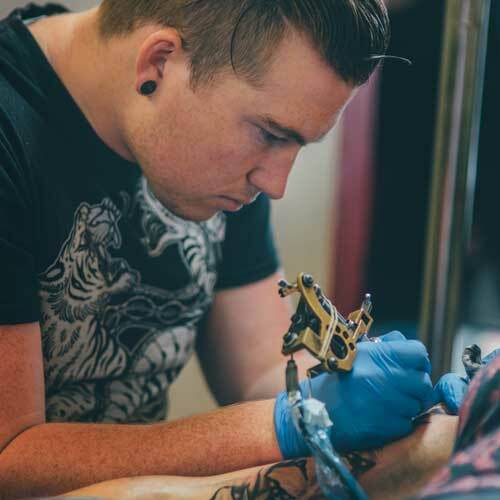 Joshua has been a resident tattoo artist in Next Level since early 2009, he has had over 8 years of experience within the industry and received training in a few different studios in Weston. This led to a 6-year apprenticeship under the watchful eye of his mentor and Next Level founder, Frank Ayrton of Peterborough. Joshua also completed a BTEC national diploma in art and design and enjoys painting in his spare time. He specialises in both realism and neo-traditional tattoos of which you will find a strong volume of work. He is, however, happy to do any style no matter how big or small as you can see from his diverse portfolio. Joshua likes to put a lot of detail in his work to help create something unique and beautiful that will last a lifetime. We are an established tattoo studio providing custom tattoos, piercing,semi-permanent makeup and tattoo removal. Based in Weston-super-Mare.